This handy pocket-sized guide presents 26 proven strategies that help those recovering from mental illness sustain their recovery. From "Accept your illness - it's not your fault" to "Zero in on taking care of yourself every single day", it's packed with practical suggestions for anyone striving to sustain good mental health. "Journaling provided an outlet for getting things out of my head and onto paper. Quieting my mind throughout the day eased my racing thoughts. Scheduling activities on my calendar gave me something to look forward to. Recognizing how to 'be' instead of 'do' brought a sense of relief to my harried world." It's been 12+ years since Carol's last episode of depression. 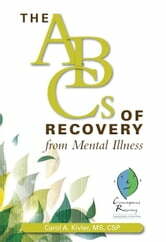 She credits the strategies in this book with helping her, and many others that she's shared them with, to sustain recovery and live a productive and fulfilling life. Each of the 26 strategies offers evocative insight into non-medical options that work. Summary Of "Awaken The Giant Within: How To Take Immediate Control Of Your Mental, Emotional, Physical And Financial Destiny - By Tony Robbins"
The Power Of Writing: Change Your Thinking, Become Creative As You Focus On Your Transformation. I Am Not Depressed, Am I?